Salt is an essential component. 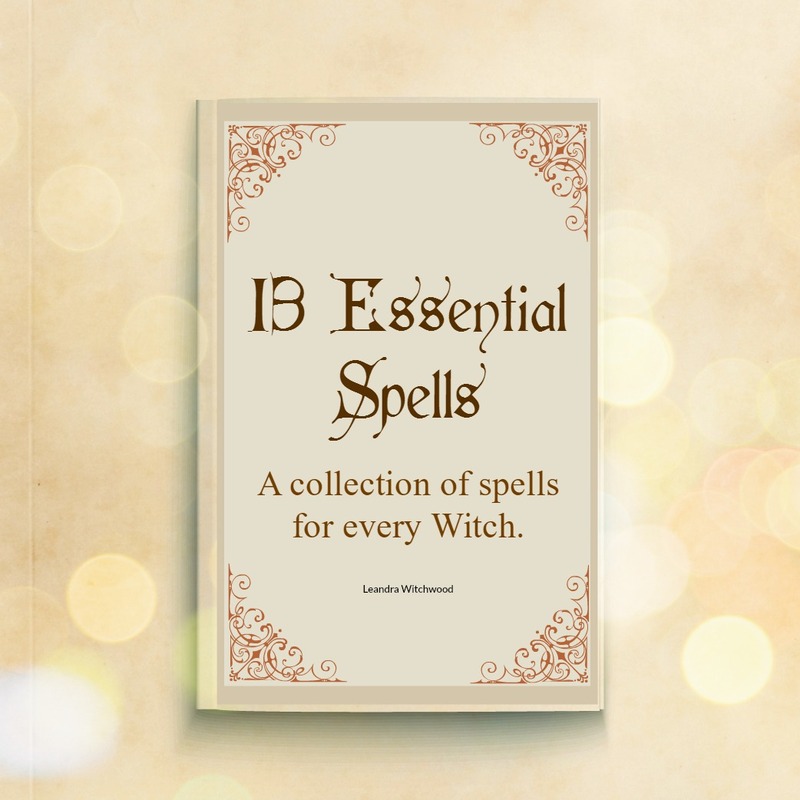 Not only is it essential for cooking it is also a key component in many Magickal practices. 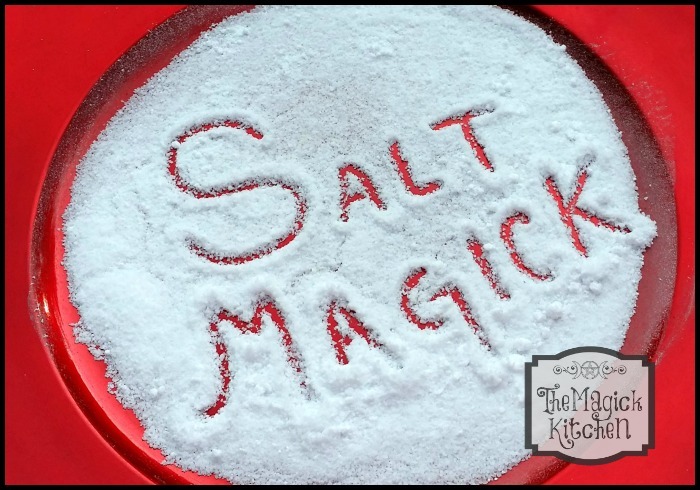 Today we will take a look at why salt is so important to food and Magick. We will look at different types of salt, salt blends, how to make Black Salt. I also plan to discuss when to add salt to your recipes/foods, and methods of using salt in Magick. Considered one of the most sacred minerals on earth. Salt represents Prosperity & Protection. Because it was once prized as currency and used to pay salaries; Salt is associated with financial abundance, especially when mixed with green vegetables and ingredients related to prosperity and wealth. Use salt for cleansing energies both physical and not. One of the most well-known used for salt is in creating protective Magickal barriers also known as a Circle of Salt. Sea salts are sacred to water deities while remaining a mineral of Earth. Volcanic salts are sacred to Fire and Volcano Deities, and salts retrieved from underground mines are sacred to Earth Spirits and Deities. Salt is not something you want to skip the cooking process. Obviously, we never want to over salt our food, but under salting can also have an adverse effect. Salt enhances the way our food tastes. Salt helps food taste more like itself, giving our taste buds the ability to recognize the individual favors in our mouth. Today salt has been given a bad reputation because of its association with high blood pressure, among other ailments. The truth is, without salt our bodies cannot function. Our bodies require salt to perform many basic and a variety of complicated functions. Salt helps maintain proper electrolyte balance which affects hydration, and it even plays an important role proper brain function. There are only a few cases when you need to be careful of the amount of salt you add to your food. Most commonly your doctor will prescribe you a low-sodium diet if you have health concerns related to the consumption of salt. You can easily adjust how much extra salt you consume by limiting or eliminating processed foods from your regular diet. When you regularly eat processed foods like frozen meals, canned soups, pre-packaged foods, and restaurant meals – you are more than likely consuming more salt than your body needs. Otherwise, you might have no need to worry. If you are concerned about the amount of salt you consume, ask your doctor about the amount salt in your diet. Cooking with salt is a process. No sensible or knowledgeable cook will wait until the very end to add salt to a recipe. Salting is done throughout the cooking process and is usually done when a new (unsalted) ingredient is added to the recipe. Many chefs and cooks will say that salting is also an intuitive process. I will attest to firm this – as you gain cooking knowledge and experience you will automatically know how much salt to add to your recipes. A good recipe will always state, “Salt to taste” as good cooks know that the flavor of your dish will vary on the ingredients as well as the time of year/location. A tomato in California mid-August will taste differently than a tomato in New York. The goal with salt is to decide your goal for the dish. Do you want the salt to stand out a little more? Do you want a particular flavor within the dish to stand out more, or do you want the entire dish to blend well together creating a delightful flavor mix? This is when salt becomes flexible and where we need to remember; “Salt to taste”. Check out my next post-Magickal Herbal Salt Recipes. 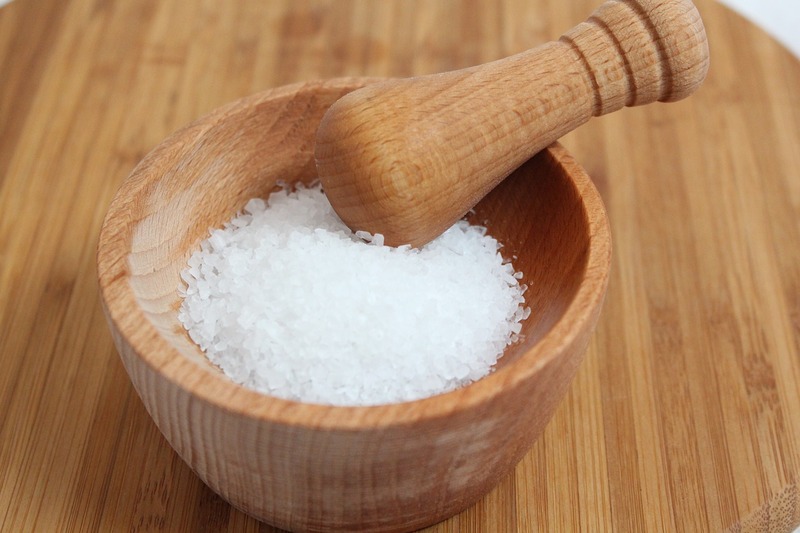 If you ever go to a restaurant or culinary festival where skilled cooks and chefs cook up their favorite recipes, you will notice that salt is never on the table or available for addition after the food is cooked, (especially iodized salt, aka table salt). The reason for this because the chef or cook has tasted the food and knows that it is salted correctly. He/she has used the right amount and type of salt for the dish. Not all salts are the same. Personally, I most often use Kosher salt. I think this is a favorite among most cooks and chefs. Occasionally, I will use Sea Salt or Pink Himalayan Salt. Once in a while I will even break out the Fleur de Sel, Sel Gris, or gray salt when I feel the recipe calls for it. The different varieties of salt and even their country of origin determine the flavor of the salt. Some salts are even smoked for added flavor. This is where the culinary fun begins! You don’t have to spend tons of money on exotic salts from around the world. When you can, buy a couple of different varieties of salt, like a gray salt, Fleur de Sel, or a Sel Gris. When you get a different variety you should know the flavor. This is where you get to experiment. Knowing your food and the flavors of your food, including salt, is important to knowing what flavors blend well with others. Here is a great exercise for figuring out the flavor of your different salts. Take a tomato, melon, or avocado and slice it. Try a slice naked, meaning no salt added. Allow the flavor to fill your mouth and give your taste buds time to recognize it before you swallow. Place a different type on salt on separate sections of your sliced fruit/vegetable. Taste each section slowly to savor the difference in flavors, taking a drink of water in between the slices. Don’t stop there. Add your usual salt to another slice, and follow the same process of savoring the flavor. Judge for yourself the flavor differences. You may notice that some salts are saltier than others, some may even taste fruity, or nutty, or sulfuric. This is one of my favorite parts of cooking. Most Witches I know (including myself) use salt in almost every type of Magick. As mentioned before salt is used to create protective barriers, to cleanse, and for abundance spells/Magick. In many traditions, salt is offered or thrown at the four corners of a room to ensure all malevolent energies and spirits are banished and/or kept at bay. Some use salt as an offering to deities and spirits. While these are wonderful uses for salt, we don’t have to stop there. 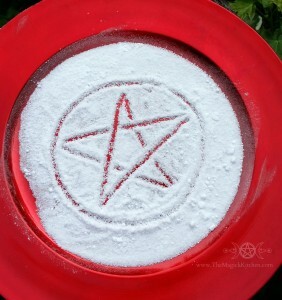 Another Magickal practice I have long enjoyed is the use of salt to draw Magickal symbols in during a ritual or spell. Simply spread a thin layer of salt on a surface (I prefer to use a tray/platter or cutting board for easy clean up), and draw your symbols with your finger, wand, wooden spoon, etc. The salt can then be collected and use again in another Magickal working. Try this, add salt to ground egg shells. 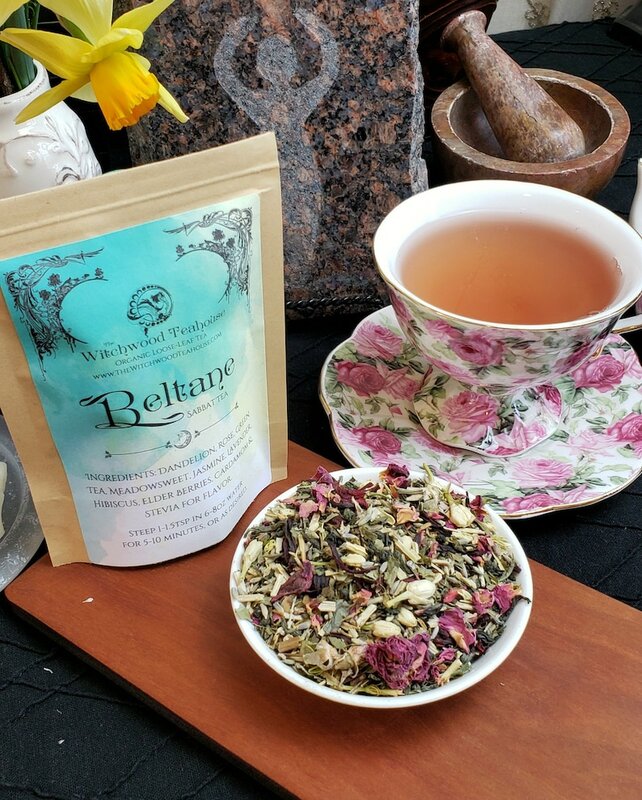 Use this mixture as a Magickal powder for casting a circle around your sacred space. This creates a very solid and definable barrier between you and the world beyond. You may also use this mixture as a Magickal chalk that will allow you to draw protective symbols on a variety of surfaces. There are many ways to create your own salts for Magick and Ritual. Herbs, citrus rinds, and other ingredients are great to add allowing you to create specific salts with specific purposes. 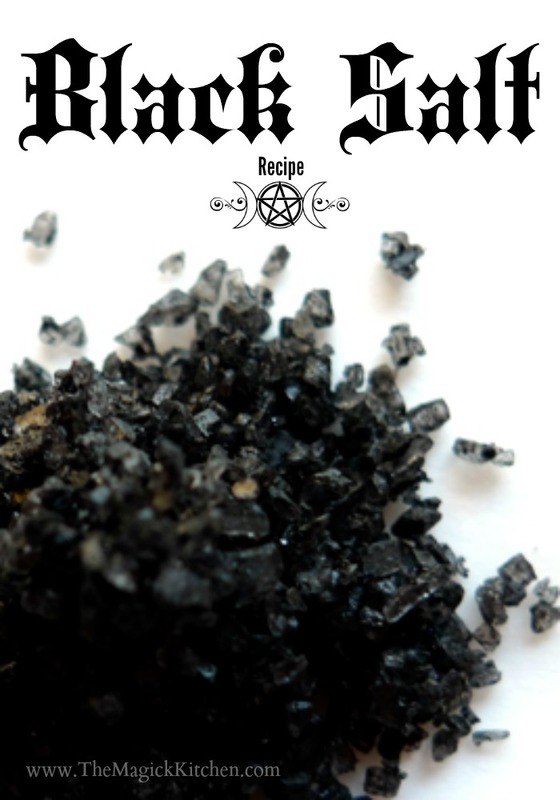 Black salt is a great example of another type of salt often used in protective Magick, and making your own Black Salt is simple. Black Salt is revered for its ability to cleanse spaces and repel the unwanted. It is even said to rid your home of unwanted guests (preventing them from returning to you) and to protect you from third-party influences. I have read some recipes where a dye is added to rock salt to create a “black salt”. This is not true black Salt. The methods I use for making black salt are a little more traditional, requiring a little more substance; mainly from the bottle of my cast iron vessels. Iron is well known for its ability to draw negativity, evil, and discord away from spell work, a location, and/or people. This is why iron is often one of my favorite ingredients in Magick. Here is my simple recipe for making your own Black Salt using your cast iron skillets, caldron, or another cast iron item you have available. This Black salt should not be confused with volcanic salt or used in cooking. If you want to use black salt in Indian foods, or cooking, in general, you will want to buy volcanic black salt which has a signature sulfuric taste. To fully incorporate the cast iron scrapings into your salt place the salt on the surface of a well-seasoned-dry cast iron skillet, pot, or cauldron. If your vessel is small and you are creating a significant amount of black salt, you will want to do this in batches. Take a soft white cotton cloth and move the salt around the surface of your cast iron vessel until you see the salt’s color change. You may also use a wooden spoon. Once the desired color is reached, move your black salt to a glass storage jar, and continue with the remaining salt until you are finished. Store your black salt in a sealed glass container until you are ready to use it. The above method is a more traditional way to make your own Black Salt. If you don’t happen to have a well-seasoned cast iron vessel handy you can also use the ashes of protective herbs and spices. 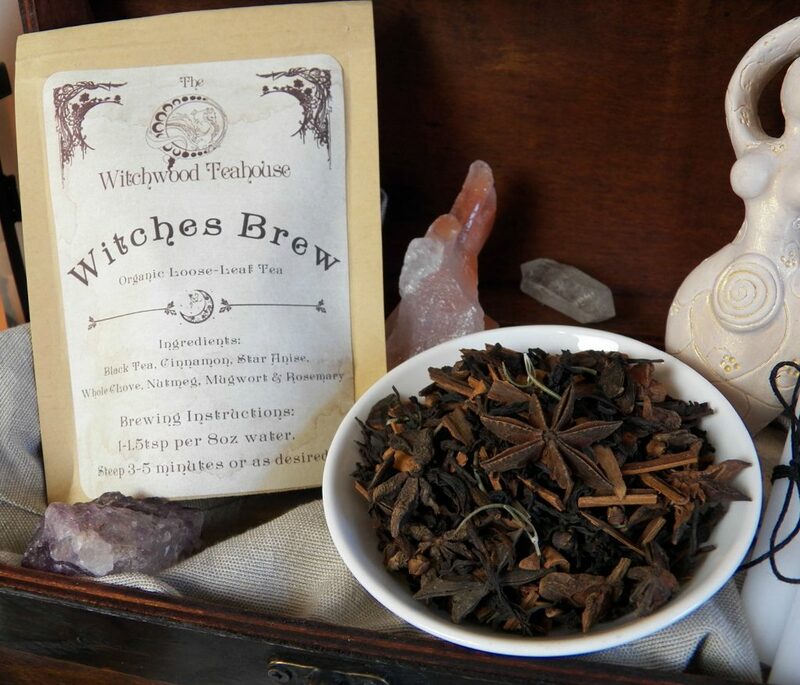 Here are a few herbs and spices you can use as incense, and then use their ashes to make your own Black Salt: Cinnamon, Clove, Dragon’s Blood (resin), Lavender, Myrrh, Oak, Peony, Rose, Rosemary, Sandalwood, and Willow. Use the recipe proportions, in the same way, adjusting to preserve the black color as needed. Salt in all its forms is a sacred tool and ingredient for all sorts of Magick. In my next post about salt, we will look at some herbs blends that are suitable for cooking delicious Magickal recipes. Thanks for joining me today! I love this – thank you for sharing 🙂 Great website and some great ideas. I shall make some straight away. Glad to know you enjoy the site!! If you have suggestions for future posts and ideas let me know! I have finally found where I fit. Thank you! My first of many anticipated questions is this; I followed the recipient for Black Salt but mine didn’t turn as dark as the salt in the picture. Any suggestion s? Try adding a little charcoal to the salt. Some salts are bleached which makes them harder to darken. Let me know if that helps. The charcoal did the trick. Thank you again for sharing your knowledge. I am extremely grateful to have found you! The scrapings usually occur just after you cook something. It is the leftover char or burned crust of food left before you clean you cast iron. If these remaining bits are somewhat moist or wet, you can allow the heat from your cooking fire to dry out the pieces so they can be scrapped away with a pan scraper (on that does no damage coatings or seasoned cast iron) or a wooden spoon. Incidentally, coarse salt is the best way to scrub cast iron without ruining the seasoning. What are the different properties between edible volcanic black salt and salt that has been blackened with char? All salts can be used in Magick related to cleansing and protection. Volcanic salt (used in Indian cuisine) will hold additional properties related to its sulphur content. This will add additional cleansing properties as well as banishing properties. Black salt created using ashes or char will take on the properties of the items that have been charred. Traditionally a White Cloth is used as a barrier against unintended energy from being absorbed into a magickal object. You may also use a wooden spoon if you prefer.